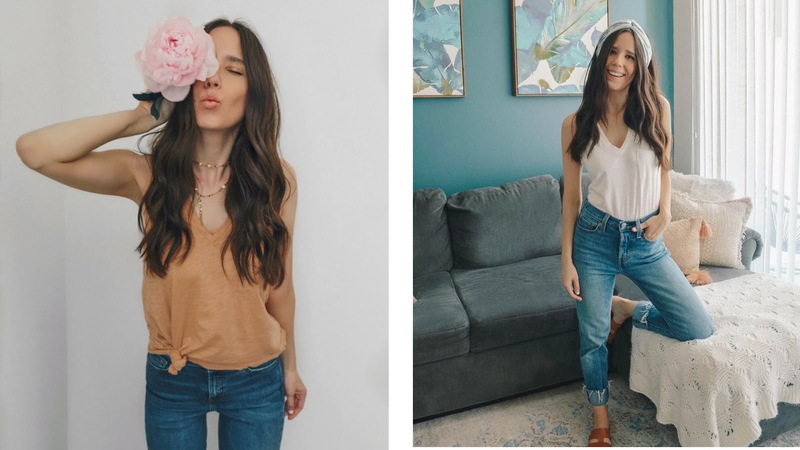 I wanted to share some of my favorite summer basics that I am going to live in all summer long. Before I get into that, I did a poll on Instagram and I'm excited that there is going to be a new post up every Monday and Wednesday. My goal is to post twice a week (maybe three which would be on Fridays). This way everything will be organized and you will know exactly when there is a new post up! If you been following me for quite some time now, you know I love my basics. The trick with styling basics is adding a piece that will elevate your look. If it's accessories or layering a jacket it can really take those basic pieces to the next level. Plus, you can wear them all season long. I bought a white and tan tank from Madewell which I've been wearing nonstop. I'm sure I will continue wearing them throughout the fall. I'll just pair it with a cute cardigan or jacket. Best of all, those tanks are only $20 so I know I will add some more to my collection. 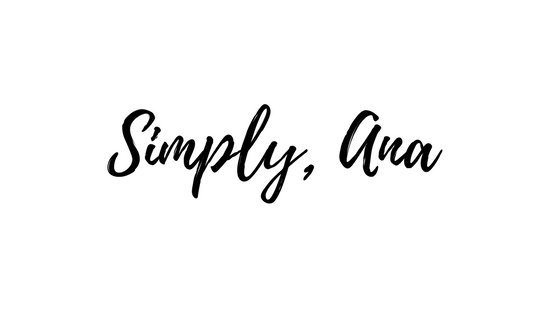 Some of my favorite places to shop for everyday basics are Madewell, Everlane, Topshop, and Nordstrom. Ohh, H&M I can't forget about them. They have some amazing tees! I get so many questions about where I buy affordable basic wear. I'm going to share my secret. I don't think I've ever shared this on here, but Everlane is my secret store! They have everything you need when it comes to basic wear from button downs to tees. They just added denim which I have been debating on buying a pair of jeans. Everything on their site is affordable and amazing quality. You can't really go wrong! 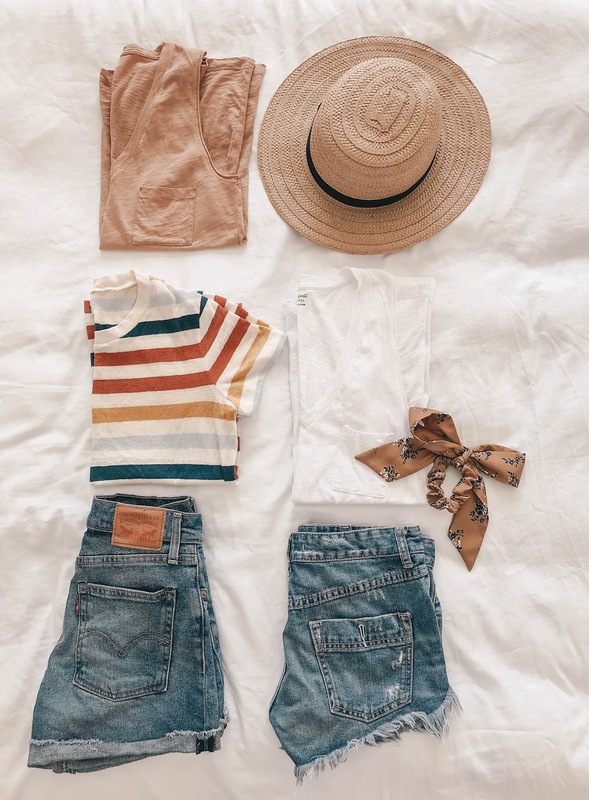 Madewell is my go-to! It has been my go-to store for a really long time. You can always find amazing classic pieces at Madewell. Also, I love how they take their basic wear to the next level. You can find tees with eyelet details or ruffle. Topshop is where I tend to buy my jeans but I also love Levis which you can find both on Nordstrom. Nordstrom is really a one-stop shop that you can buy just about anything at. Also, I can't forget Shopbop. You can also find everything there as well. I hope you guys enjoyed this post! I'll see you on Wednesday for the next post!